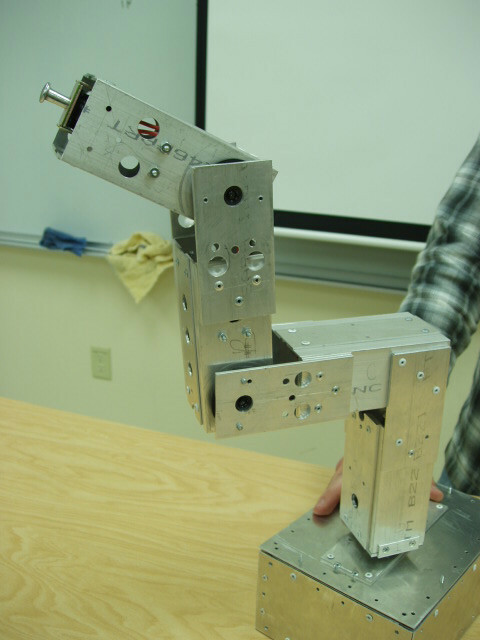 A fabricated robot arm, with remote control. 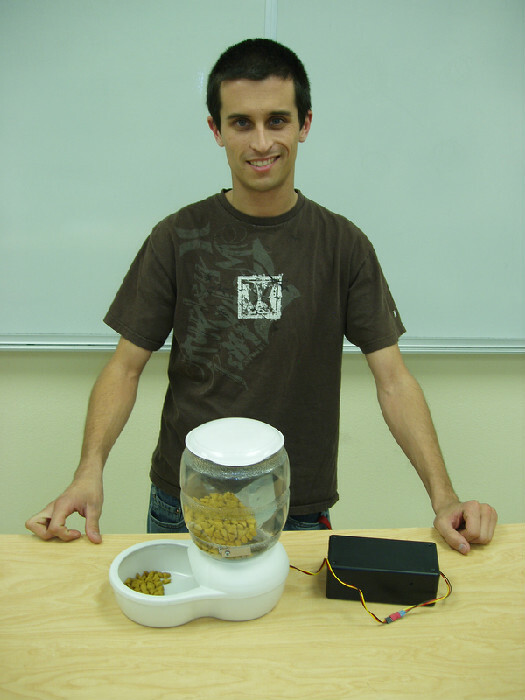 A student with his programmable automatic dog-feeder. 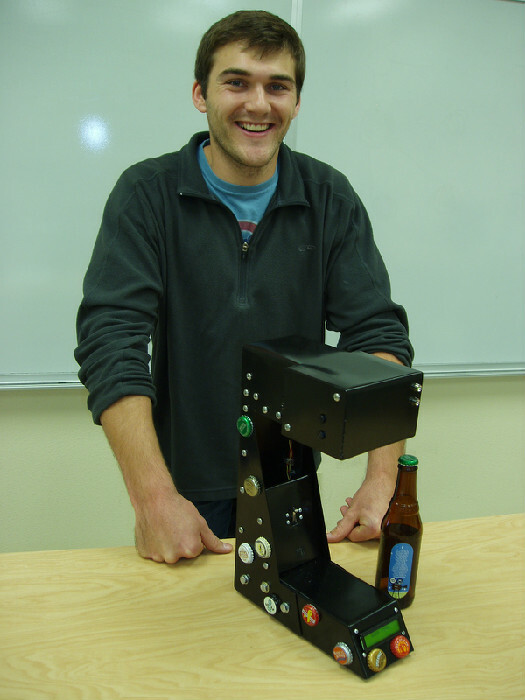 A student with his automated bottle opener with integrated LCD disply. 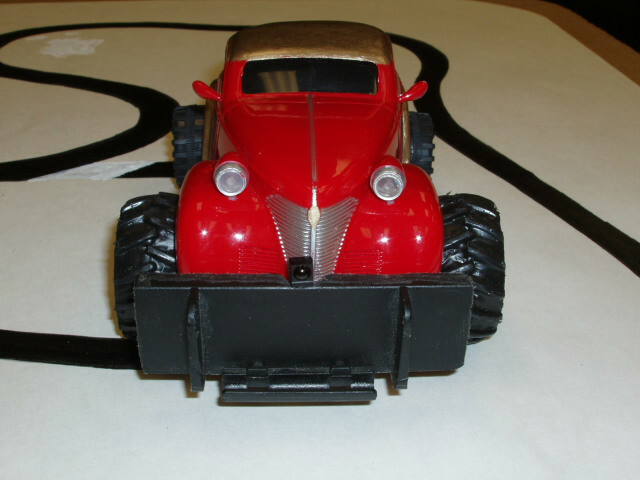 A toy car that was modified to be an automated line-following robot. 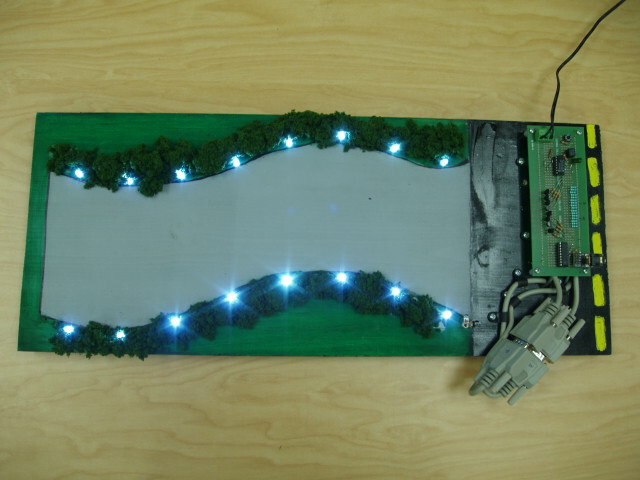 A scale model of a programmable automated lighting system for the student's home driveway. 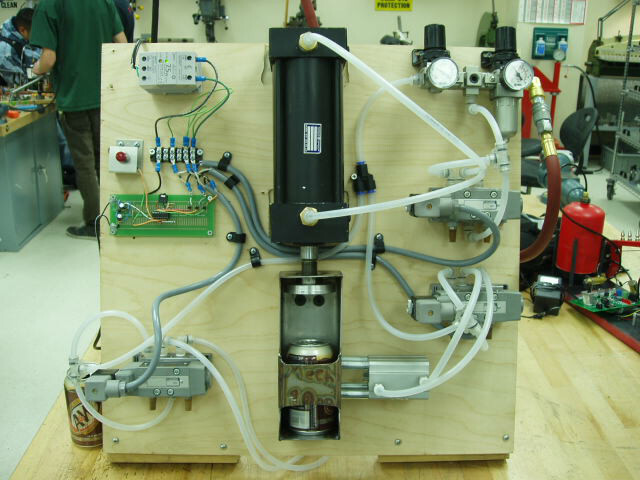 An automated can-crusher using three pnuematic cylinders. One to dent the side of the can, the large one on top to crush it and a third one behind to kick the crushed can out.